On August 27, 2018 Chris Hrudka assumed the role of Vice President of Operations and Military Relations of Hope For The Warriors. In this capacity, Chris will be directly responsible for the organization’s strategic plan, and establishing operational alignment across all areas of the organization to provide more effective and efficient delivery of services to our service members, veterans, and their families. Additionally, Chris is directly responsible for the leadership and oversight of our nationally dispersed team of regional operations managers and our military/veteran program coordinators, and be Hope’s lead representative and advocate to all military services, the Department of Veteran’s Affairs, and veterans’ groups to expand Hope’s reach to service members and their families in need. Chris brings to Hope vast experience in executive leadership, logistics and operational planning, and operational design, having served globally supporting Marines in every element of the Marine Ground Task Force. Chris has served in joint billets and fundamentally understands military culture across all services and how to build effective and efficient teams, and provide solutions to complex problems. Most notably, Chris brings to Hope a deep understanding of the impact of combat operations on our service men and women, and commitment to our veterans and their families in the wake of their service and sacrifice from years of combat operations. 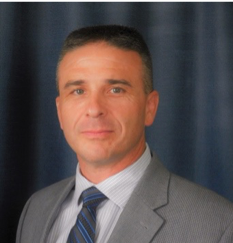 Beginning his military career in 1994, Chris has made 3 Marine Expeditionary Unit deployments, 4 deployments to Afghanistan, and has been an instructor for new Marine Officers at The Basic School and Logistics Operations School. Additionally, he served with Navy Warfare Development Command and at the US Embassy in Kabul, Afghanistan, as an Executive Officer at the General/Flag Officer level, and he had 2 separate Battalion Command tours. His nine personal awards for exceptional service during his career include the Bronze Star Medal and the Department of State Meritorious Honor Award. He retired from the Marine Corps in 2018 after more than 24 years of active service.